Here’s the scenario, you’ve invested a considerable amount of time, energy, and money into launching your new website. You finally get it launched, and you’re imagining all the visitors that will come streaming in, but no one shows up. You pull up Google and run a few searches. You are nowhere to be found. What gives? Has your web design company swindled you into building a website that doesn’t show up on Google? The answer is probably no. However, there may be an issue that you need to resolve before you will start to show up in search results. In this post, we’ll cover the most common reasons that your website isn’t showing up in search results and how you can address the problems. Ok, before we go any further let’s establish that your website is indeed not showing up at all on Google rather than not showing up for what you want it to – which we will cover later. The easiest way of checking to see if Google has indexed your website is to Google it. Google has a specific search that you can use. Type “site:” followed by your URL. For example, to search for the MARION website, we’d use “site:https://www.marion.com”. 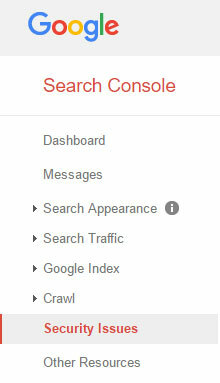 When you use this search, Google will return all of the pages that it has indexed for your website. If you get no results, then Google has not indexed your website. If you have established that Google has not indexed your website, there could be several reasons. The first and easiest question to answer is, how long has your website been live? Showing up in Google search results isn’t instantaneous, Google first needs to “crawl” your website and add it to their index before it can show up in search results. The bottom line is, if you’ve launched your website in the last day, you can’t expect to show up in search results yet. If you’ve launched in the last couple weeks, it still might be too early, but keep an eye on it. If you launched over a month ago, don’t freak out, reach out to your web design company and ask them to ensure that there are no underlying problems preventing your website from being indexed. 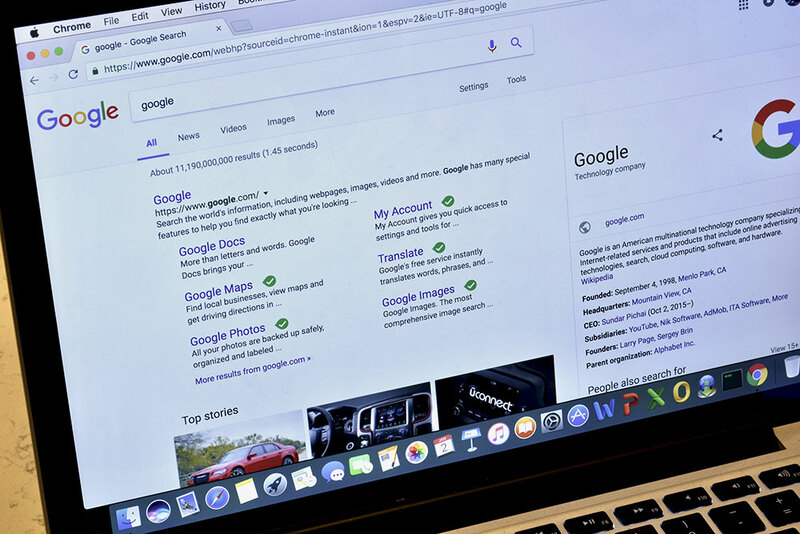 Another very common reason that you aren’t showing up in Google search results is that you’re are telling Google not to index your website and therefore not return it in search results. You can determine this fairly easily. Go to your website and right click your mouse. 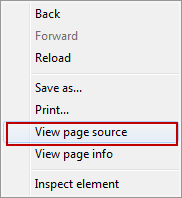 You should see an option to “View page source” or something very similar. Once you click on this, you will see the underlying code that creates your web page. Don’t worry; this isn’t going to get technical, we are just looking for something. While looking at your web page’s code, press CTRL + F. This will bring up the word search function of your browser. Type in “noindex”. Then you have found your problem. A leftover “noindex” tag is a very common problem and nothing to be too concerned over. During the website development process, this tag is used to ensure that Google doesn’t accidentally find and index the unfinished website. Sometimes during the launching process, this tag is not removed. If you find this tag, simply reach out to your web design company and ask that they removed it. You should be indexed within the next month or so. The next reason that your website isn’t showing up in Google is that you’ve been penalized or removed for any number of reasons. A common and frustrating reason is hacking / malware. Being removed for malicious content generally occurs when you have an outdated CMS install (like WordPress) or are using an outdated plugin. As a CMS version or plugin ages, malicious individuals identify security weaknesses and then scour the internet for people using the outdated software. One of the most important areas of search engine optimization (SEO) that no one ever talks about is keeping your website up to date. Any security issues that Google has detected that may be affecting your rankings will be listed here. If you have been hacked or malware is found on your website, we would recommend using a professional web security company like Securi for both cleanup and future protection. Alternatively, Google may have penalized you for previous “SEO” work that you have done for your website in an attempt to manipulate where you show up in search results. Google has built their business model around returning the best results for any given search. With that in mind, they are constantly updating the algorithm that they use, and these updates often affect how well website show up in search results. While Google tries not to use the term “penalizing” changes in algorithms often address “black hat” SEO techniques, or techniques intended to manipulate search results which negatively impacts, or penalizes, websites that have implored those tactics. The best way to address being penalized for “black hat” SEO techniques is not to use them to begin with. Google will always find a way to root out the loopholes in their algorithm, and your efforts will be wasted, or cause your site harm. Find a good SEO company to work with and build up your organic rankings the right way from the get-go. Finally, there is a distinct possibility that your website is simply not optimized for the keywords that you are searching. Especially for new websites, showing up high in organic rankings for your targeted keywords is going to take some time and some elbow grease. To find out if your website is ranking at all (even if it’s position 267), you can use Google advanced search operators like the site: operator. By conducting a search for site:yourwebsite.com you can find out which pages on yourwebsite.com Google has in their index, even if you can’t find your pages for certain keyword searches. SEO is a little too complicated of a topic to explain in the remainder of this post. But in summary it is going to take the right keyword strategy, a lot of good content, other credible websites linking to your site, the correct code on your web pages, and a host of other factors to show up well for your targeted keywords. If you started your website project with the Field of Dreams mentality, “if you build it they will come,” you will, unfortunately, be disappointed. Search engine rankings are a competitive business and big business at that. You will have to put in the effort to drive traffic to your website. The best concept that you can walk away with is that when it comes to your website and where it shows up in search results, it’s important to work with the right web design and search engine optimization company. Factors like leftover “noindex” tags, poor security practices, and bad SEO strategies can result in you missing out on traffic, leads, and revenue. If you are concerned that you may have an issue with your website currently, reach out to your Houston website design company or contact MARION today to determine if a problem does exist.